We’re on the edge of an apocalypse and Raleigh Becket (Charlie Hunnam) needs to let go of the past if he wants to save our future. It was from the sensory-overload seats this week that I took in the IMAX 3D extravaganza that is Pacific Rim – the story of a boy, a robot, and a lot of clichés. Who’d have thought wretched excess could be so dull? This time the beasties are sort of sea creatures from another dimension in a film that amounts to Godzilla meets the Transformers. The generally capable, sometimes spectacular director doesn’t stop cribbing ideas there. You can find Aliens, Real Steel, maybe some Top Gun, even a little Being John Malkovich in there if you really try. Indeed, there’s nary a single truly unique idea in the picture. Instead, del Toro relies on the abundance – glut, even – of cinematic clichés to free himself up to focus on more technical stuff, and technically speaking, the film’s pretty impressive. But not overly so. Del Toro’s real passion seems always to have been in the creation of monsters – dude loves him some tentacles – but too few of these creatures are visually articulate enough to be really memorable or impressive. Without that, the visceral impact he’s after never fully materializes. Sure, the concussive sound editing and even more abusive score take the experience up a sonic notch, but that’s not necessarily a good thing. 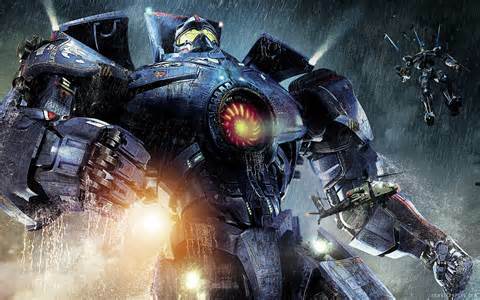 Combined with sloppy scripting and performance that are – well – bad, the self indulgent Pacific Rim manages to be the least impressive blockbuster yet this summer. And it’s been a pretty weak summer. The Weirdest Place on Earth! I wanted a bit more from this movie, like a better script and character development, but I had fun and I think that’s more than enough than I can say about most blockbusters that have come out this summer. Talking about you, Lone Ranger. Good review.